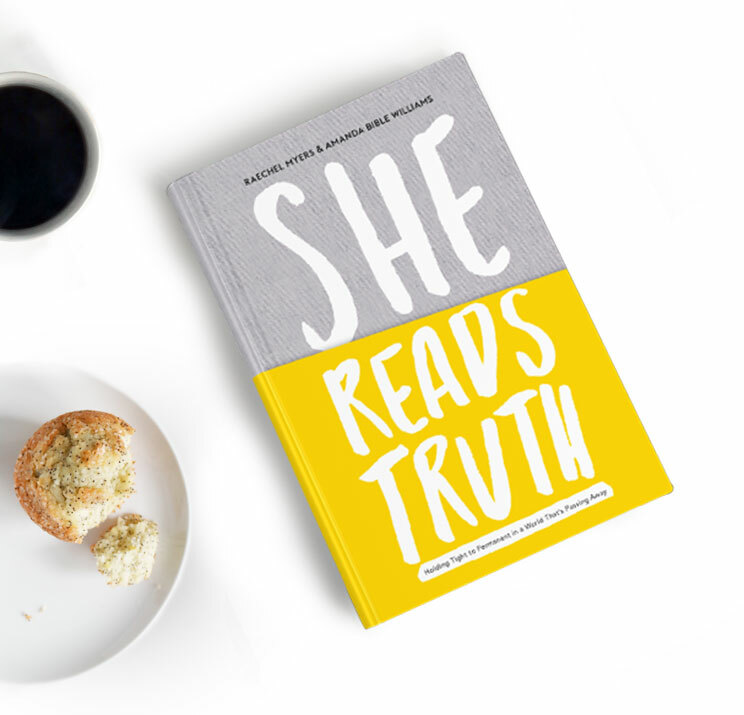 She Reads Truth tells the stories of two women who discovered, through very different lives and circumstances, that only God and His Word remain unchanged as the world around them shifted and slipped away. Infused with biblical application and Scripture, this book is not just about two characters in two stories, but about one Hero and one Story. Every image points to the bigger picture—that God and His Word are true. Not because of anything we do, but because of who He is. Not once, not occasionally, but currently and all the time. Raechel Myers is always on the lookout for beauty, goodness, and truth in everyday life. 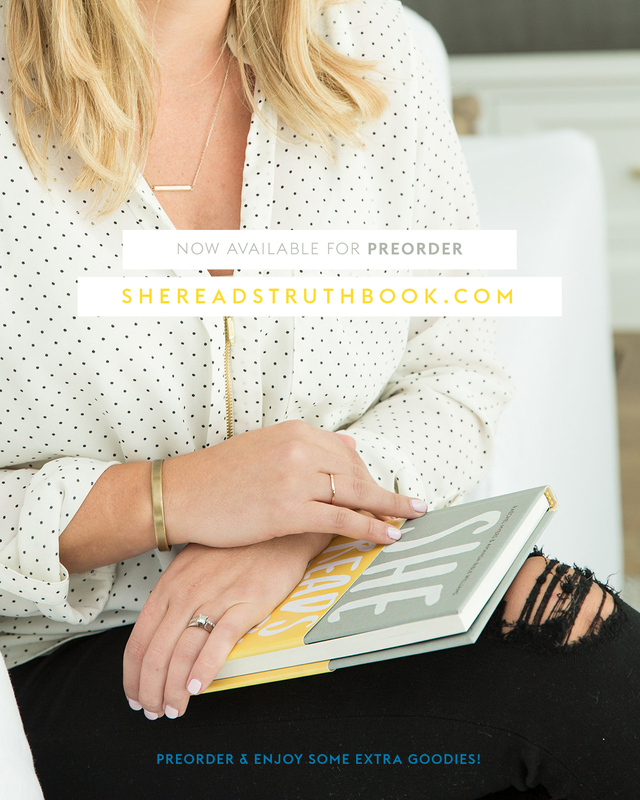 Co-founder and CEO of She Reads Truth, Raechel has a bachelor’s degree in housing and environmental design, and is not afraid to paint a whole house over a long weekend. She longs to cook artisanal meals, but loves Chinese takeout. She lives south of Nashville, Tennessee, with her three favorite people. Amanda Bible Williams likes words and books more than just about anything. 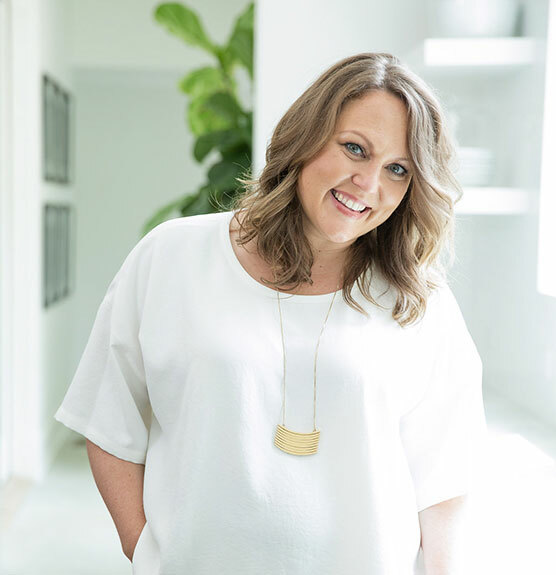 She holds bachelor’s degrees in English and psychology, nearly a master’s in religion, and a deep love for a farmhouse east of Nashville, Tennessee, where she lives with her husband and their three children. 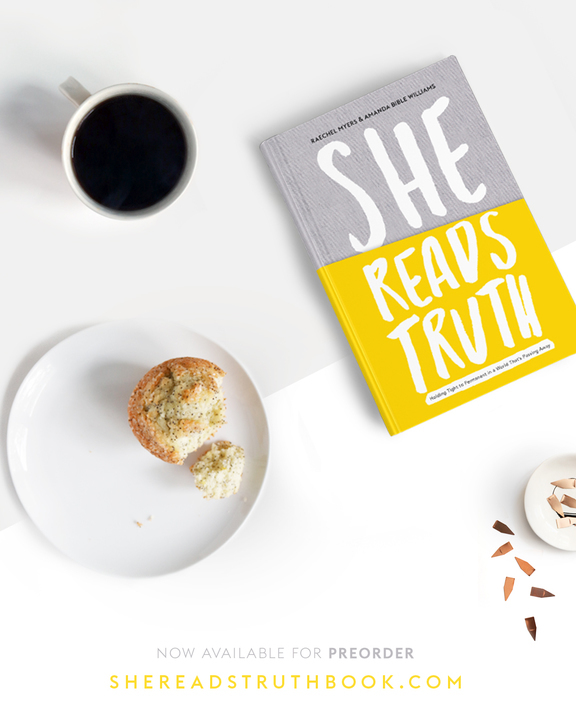 Chief Content Officer of She Reads Truth, Amanda spends her days happily rearranging sentences and explaining that her maiden name really is Bible. 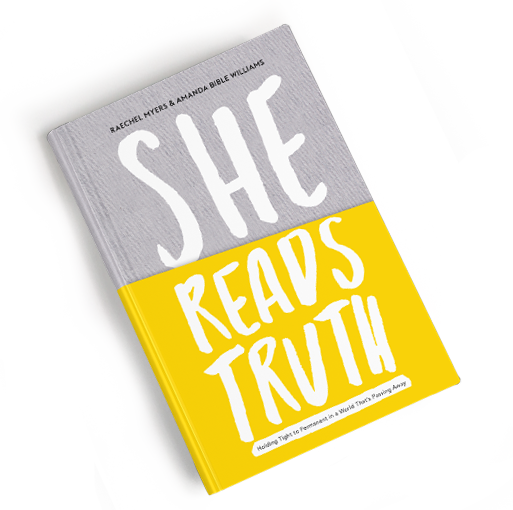 She Reads Truth was a community long before it was a book. 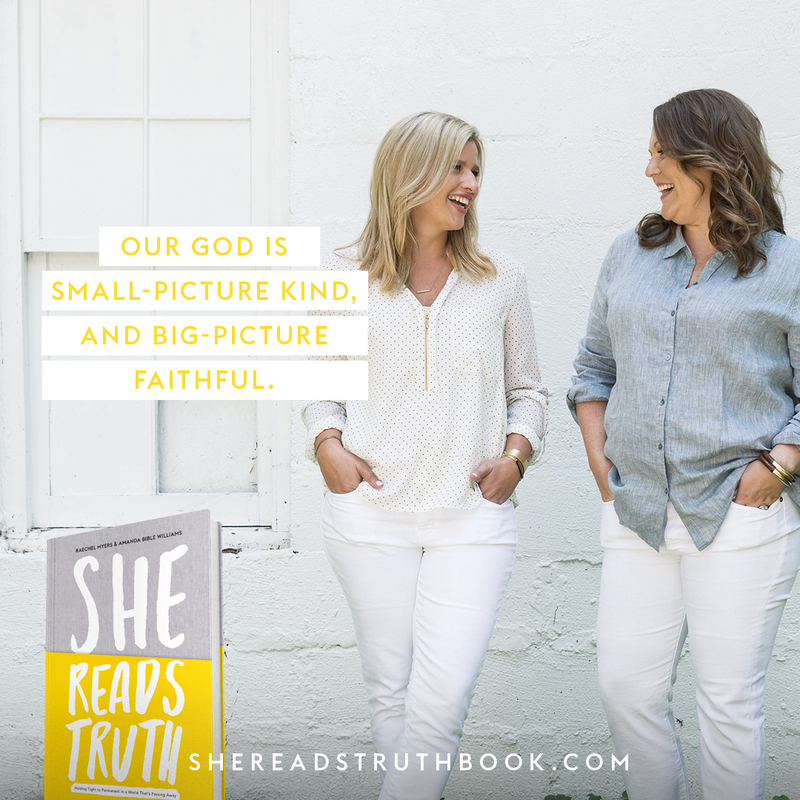 In 2012, a handful of strangers began reading God’s Word together every day, staying connected with the hashtag #SheReadsTruth. This hashtag gave way to a website, which gave way to an app, and the movement continues to grow. Today, hundreds of thousands of women gather online to open our Bibles together and find Jesus there. This community of “Women in the Word of God every day” represents a long list of cities and countries, a variety of backgrounds and traditions. We are women of all ages and life phases, with our own joys and sorrows and hopes, our own real-life stories. But there is a commonality that binds us: we believe God’s Word is Truth. So we read. Every day we read a new passage together—working our way through books of the Bible, topics that matter, and seasons of the Church calendar. We engage with God's Word and with each other. And we keep coming back, on the hard days and the good days, because God and His Word never change, regardless of our circumstances. 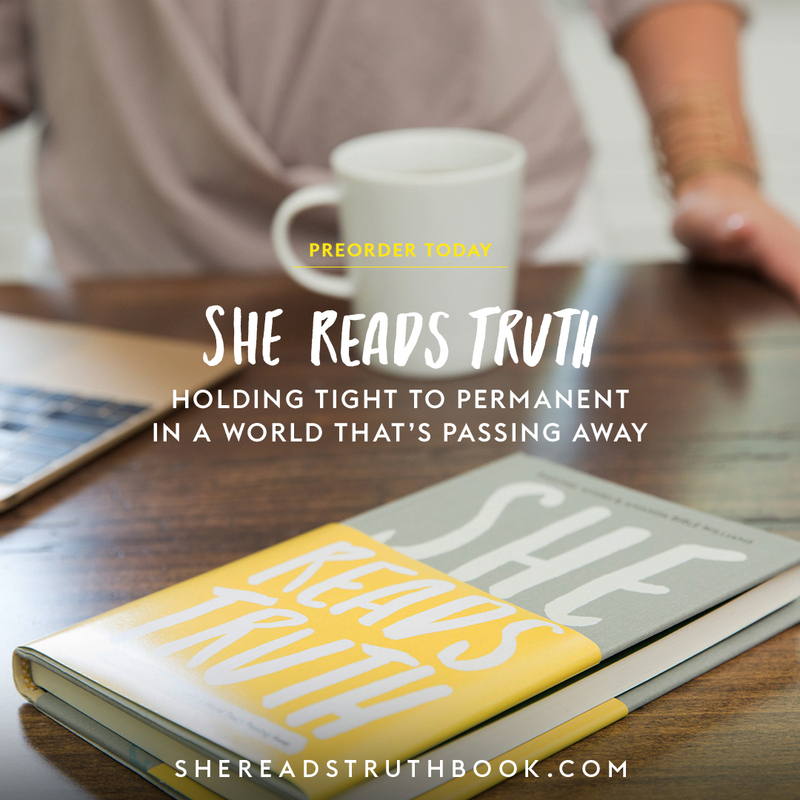 We invite you to read along with us at shereadstruth.com or on the She Reads Truth app. click/tap to download, or grab them all at once. ©2016, B&H Publishing Group and LifeWay Christian Resources. All Rights Reserved.